Glow beauty shop recently sent me their 12-piece budget make up brush set to try out, the set of brushes comes with a case for only £7.99. For the price I wasn’t expecting the best quality but this set is fantastic value. 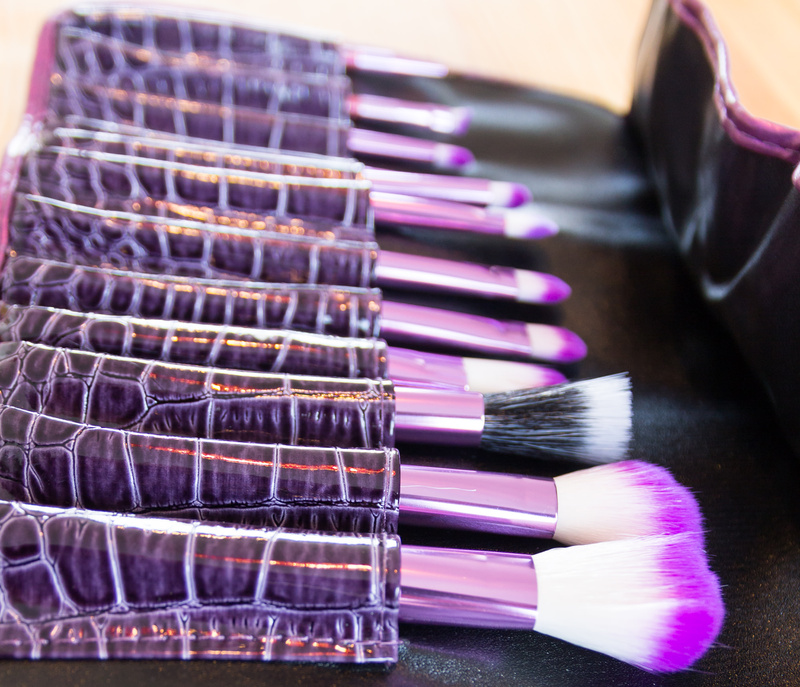 The brushes come individually wrapped within the case and there are a range of powder brushes, foundation brushes, eyeshadow brushes as well as a dedicated stippling brush, eyeliner brush and eyebrow brush. 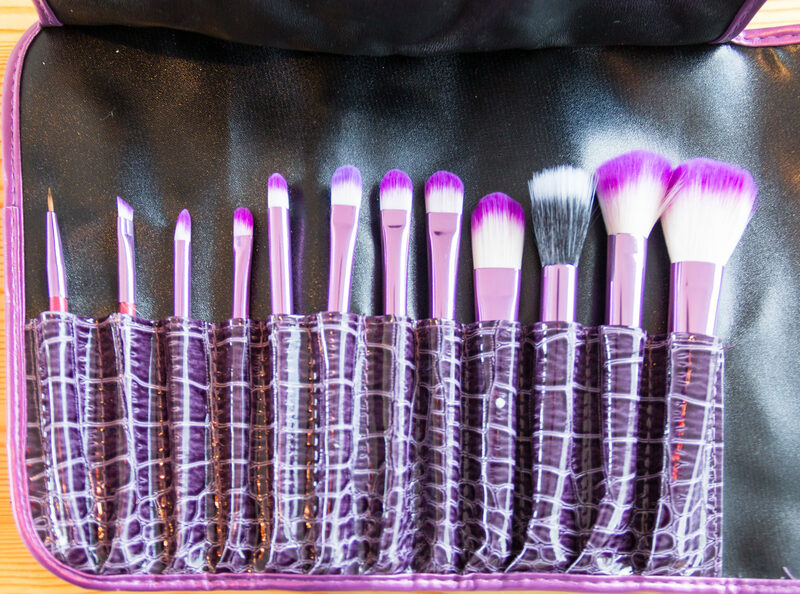 As you can see the brushes look beautiful. 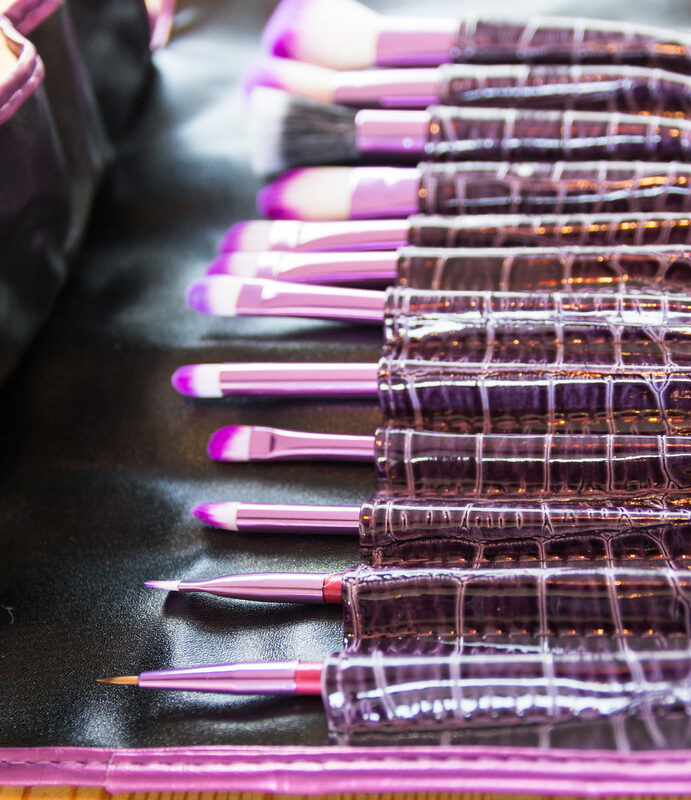 I love the purple metallic handles on the brushes and, particularly the smaller brushes for the eyes, are very high quality and have dense bristles. I am less impressed with the powder brushes that are more fine and the only brush that is a let down is the stippling brush which is weak in contrast to the quality of the eye brushes. Perhaps I have been spoilt with the Real Techniques Stippling Brush with it’s dense bristles but I didn’t think the glow stippling brush worked well at all. 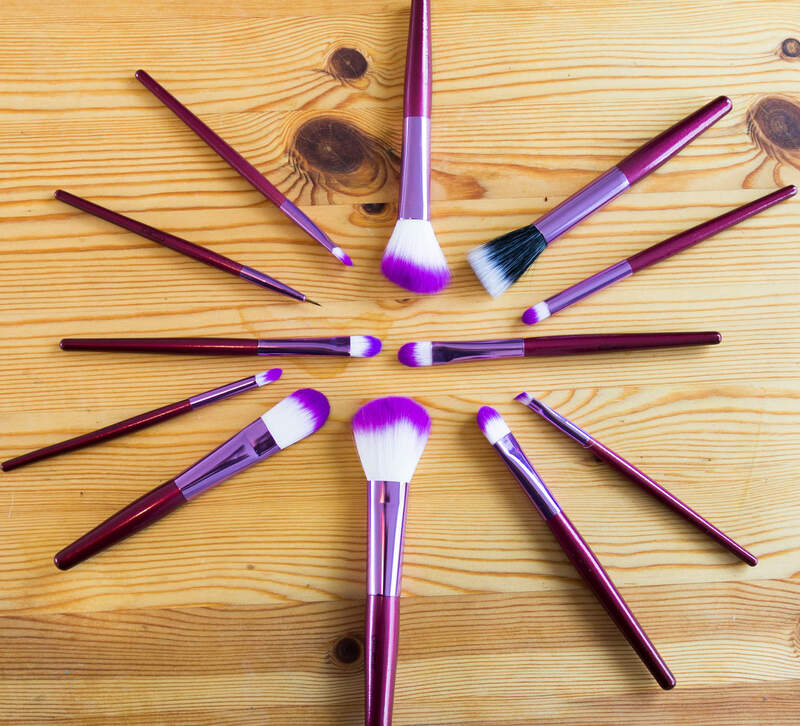 One issue that often arises with cheaper and budget make up brush sets is the brushes shedding and finding stray hairs on your face when using them but so far this has not happened with this set, even after being washed. For £7.99 this is a beautiful budget make up brush set and I am happy to add it into my make up brush collection. 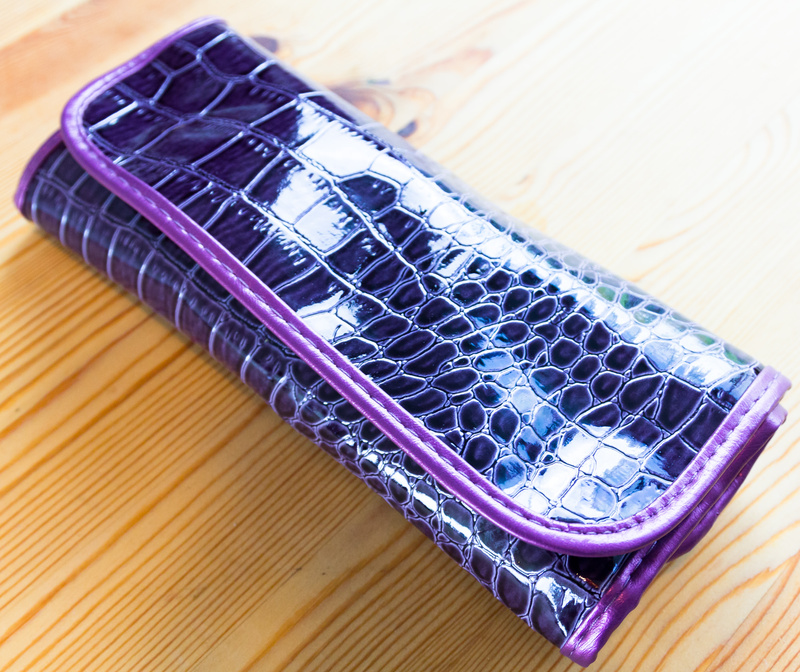 For such a low cost item the quality is extremely high and feels far more high end. The case is a great addition making it so handy as a travel set. 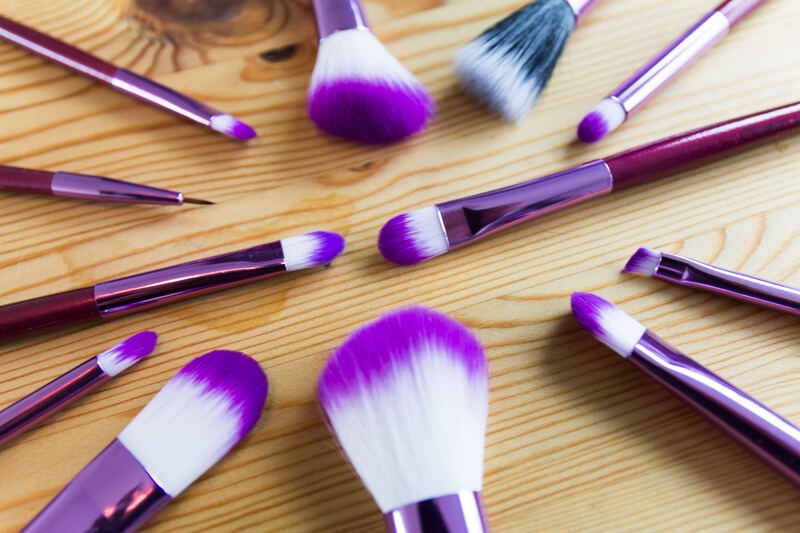 The eye shadow, eyebrow and eyeliner brushes are really fantastic and do the job and I really love the purple design of the brushes and the purple ombre bristles.